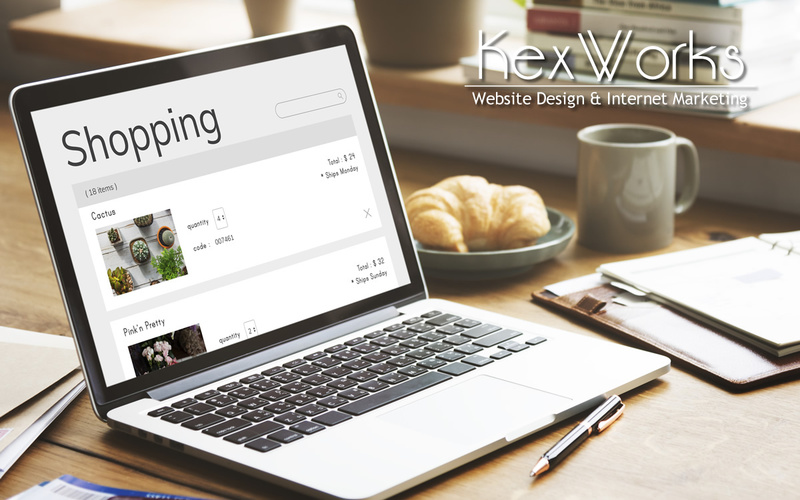 KexWorks | Thinking About Abandoning Your Online Store for Amazon? Think Again! 04 Apr Thinking About Abandoning Your Online Store for Amazon? Think Again! When Amazon moves forward, whatever stands in its way gets steamrolled. Bookstores, record shops, and other kinds of brick-and-mortar stores have all been influenced by the e-commerce juggernaut. Online stores were affected, too, but their story wasn’t nearly as dramatic as those of shops with a storefront. Online stores were simply abandoned as their offerings started appearing on Amazon. And it made perfect sense to start using Amazon for e-commerce. There were benefits to being under the wing of the giant, able to appear in searches on one of the most-searched websites in the world. The problem here is that abandoning an online store in favor of Amazon is not a good idea. Going to Amazon is great. Neglecting or shutting down your online store? Not so much. And here are a couple of reasons why. Amazon isn’t that good for branding. In fact, your brand is almost irrelevant on Amazon — your products are all that matters, and they will probably be in a sea of similar or same products. Amazon is a platform where you need to stand out, but that doesn’t allow you to do it effectively by branding. On the other hand, there is nothing you can’t do with an online store. So whatever branding effort you want to make, your online store can be a part of it. Even if you decide to center it around social media presence, you’ll still need to involve a website as the central location. Email marketing is such a curious thing. One of the internet’s earliest forms of communication should have been displaced by instant messaging by now. But it wasn’t. And email is still used in marketing, it works well, and unfortunately, it doesn’t go well with Amazon. There’s no way to get as much information about your customers on Amazon as you could on your website. The one thing you’d never be able to do on Amazon is to build a mailing list. And since a mailing list is such an effective marketing tool, you shouldn’t just give up on it. If you keep your online store, you can build the mailing list. Yes, it’s true that being on such a big platform can be great for your business. Amazon really might be the best thing that happened to your business. That’s great. But the issue here is that there are so many other things that could be happening to your business outside of Amazon. And you’ll never know it because Amazon will sap your reach outside of it. By using Amazon exclusively, you sentence yourself to use one customer acquisition network exclusively. But if you have a website on the side, you can use whatever network you want to get new customers. And when you sell to them from your website, you get to keep all the profits, too. When businesses shop, they don’t do it in the same way as regular customers do. B2B is a thing of its own for a reason, and there are very few places where it can compare to regular. B2B buyers aren’t too keen on Amazon. Amazon has a huge inconsistency problem — it’s very hard to shop products of the same level of quality. B2B buyers want consistency. They don’t want to do research for every repeat buy. They don’t want to waste time buying things that don’t deliver. So they don’t shop at Amazon, but they might at your website. Amazon is great for shipping standardized products that don’t require specific handling or customization. Everything that falls outside of those boundaries can be a problem. For you, this means that the types of products you can sell are limited. So is your ability to add additional value to the products through personalization. You already know that, on your website, you can sell whatever you can pull off creating or acquiring. There are, of course, laws that prohibit the selling of certain things. But whatever is legal is fair game for a website, and the same cannot be said for Amazon.